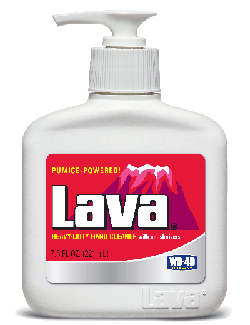 Everyone loves the cleaning power of Lava®, and it’s finding its way onto more sinks than ever before in its liquid form. Like the original bar version, Lava Liquid contains pumice to clean away the toughest grease and grime. It also has three different moisturizers that leave skin feeling soft and smooth. Lava Liquid is available in a 7.5 oz. pump bottle – perfect for the kitchen, bathroom, garden shed or shop sink.